Since 1999, the number of opioid-related deaths -- from both prescription opioids and illegal drugs including heroin, fentanyl, and carfentanil -- has quadrupled. Driven in large part by the opioid epidemic, drug overdose is the leading cause of accidental death in the U.S. 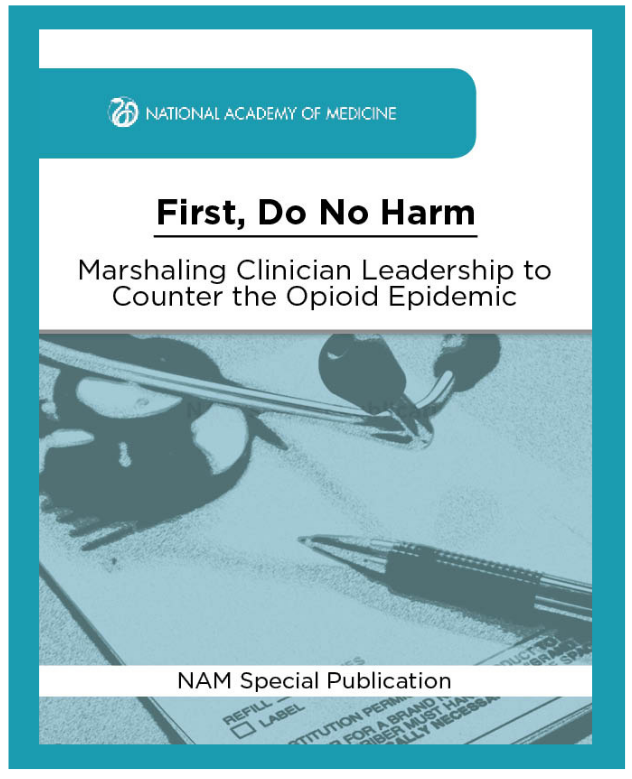 The ongoing opioid crisis lies at the intersection of two public health challenges: reducing the burden of suffering from pain and containing the rising toll of the harms that can arise from the use of opioid medications. Many activities across the National Academies are looking at these issues related to the opioid epidemic. The Office of HIV/AIDS and Infectious Disease Policy of the U.S. Department of Health and Human Services requested this study, which will review select programs to assess the extent to which opioid and infectious disease prevention programs are integrating the services they provide. The study will identify and highlight programs that are achieving integration as well as barriers to integration, and may suggest strategies to address these barriers. For more information, contact Rose Marie Martinez at rmartinez@nas.edu. This study is looking at developing a framework to evaluate the evidence base for existing clinical practice guidelines for prescribing opioids for acute pain indications, as well as identifying surgical procedures and health conditions for which new guidelines should be developed, and prioritizing a research agenda to address evidence gaps. For more information, contact Roberta Wedge at rwedge@nas.edu. This study will review outcomes achieved by four specific programs funded by the Substance Abuse and Mental Health Services Administration authorized in the Comprehensive Addiction and Recovery Act (CARA). The specific programs are Building Communities of Recovery, State Pilot Grant Program for Treatment for Pregnant and Postpartum Women, First Responders, and Improving Access to Overdose Treatment. The review will result in three reports over five years. For more information, contact Pamela Ramey-McCray at PMcCray@nas.edu. This study will develop a protocol (study design) to evaluate the relationship between concomitant opioid and benzodiazepine medication practices at the Department of Veterans Affairs, for treating mental health and combat-related trauma, which potentially led to veterans’ deaths and suicides. For more information, contact Carolyn Fulco at cfulco@nas.edu.